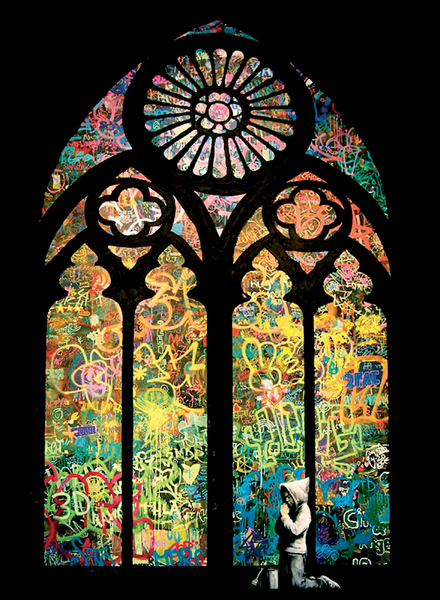 If you’re wanting a modern contemporary religious design then this Banksy design is perfect. The image is made up of graffiti using warm Christmas colours which stands out vibrantly against the darker background which resembles a staines glass window. This personalised Banksy Christmas card is suitable for personal, corporate, company and business use. The inner is printed with your unique personalisation details. Stained Glass is printed in the UK by Christmas Connections. This design is supplied flat.